Among the many portable gadgets that the smartphone has killed off—digital camera, PDA, sat nav—is the MP3 player. Phones are now very competent jukeboxes with some great apps, but are you putting up with an average-quality listening experience when you don’t need to? Here are four ways to change that. You can control the quality of the audio you get on many music apps, particularly when streaming is involved. In Spotify, for example, you can ramp up the quality of both streamed and downloaded tunes all the way to “Extreme” through the settings page. Apple Music, meanwhile, lets you set a higher streaming quality through the Mobile Data option in the Music part of the Settings app, and has an equalizer option you can play around with—this is basically just a list of presets to pick from, but it still has its uses. Google Play Music comes with an equalizer and streaming quality settings, although the equalizer is only available in the Android version of the app. Bear in mind that higher quality streaming will use up more mobile data if you’re not connected to a wi-fi network. If your favorite music player doesn’t come with an equalizer built in, you can enlist the help of a third-party app to do the job, which will provide all kinds of tweaks for you to utilize. The choice is wider on Android, but there are some options for iPhone owners too. The likes of Music Volume EQ and Equalizer & Bass Booster from the Google Play app library come highly recommended, and if you’re prepared to root your Android phone then apps such as ViPER4Android can get their hooks deeper into the audio quality settings. Over on iOS, the leading options include apps such as Equalizer+ and the smartly named Equalizer by Audioforge; EQu is another app that’s earned a lot of plaudits. Don’t forget iOS has its own equalizer in the Music section of Settings, as we’ve already mentioned. There are phone accessories specifically designed to boost audio quality, and if your wallet and pockets can cope with them, they’re worth considering. The Arcam MusicBoost, for example, fits a headphone amp and DAC inside an iPhone case. Other DACs (digital to analog converters) for phones include those in the AudioQuest DragonFly series and the Chord Mojo, but be sure to look up the audio capabilities of your smartphone to make sure you’re actually going to notice a difference. The audio engineering inside your phone and the headphones you choose to listen to your tunes through are two big factors affecting the quality of the music that reaches your ears. An obvious way to improve that listening experience is to upgrade one or both of them. Reviews and round-ups are a good place to start. Many phones will come with claims of excellent audio performance, but not all will live up to their promises. With its Hi-Res audio and 24-bit output, the HTC 10 is one of the best choices for music lovers right now. 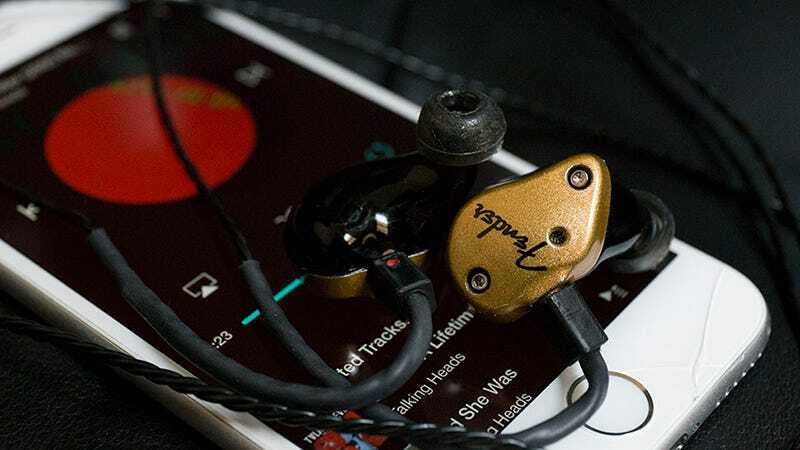 As for headphones, it’s important to decide what kind of listening experience you want—not all cans are aiming for the same end results and some are specifically designed for phone use. We’ve recently covered a lot of the best options for different needs.